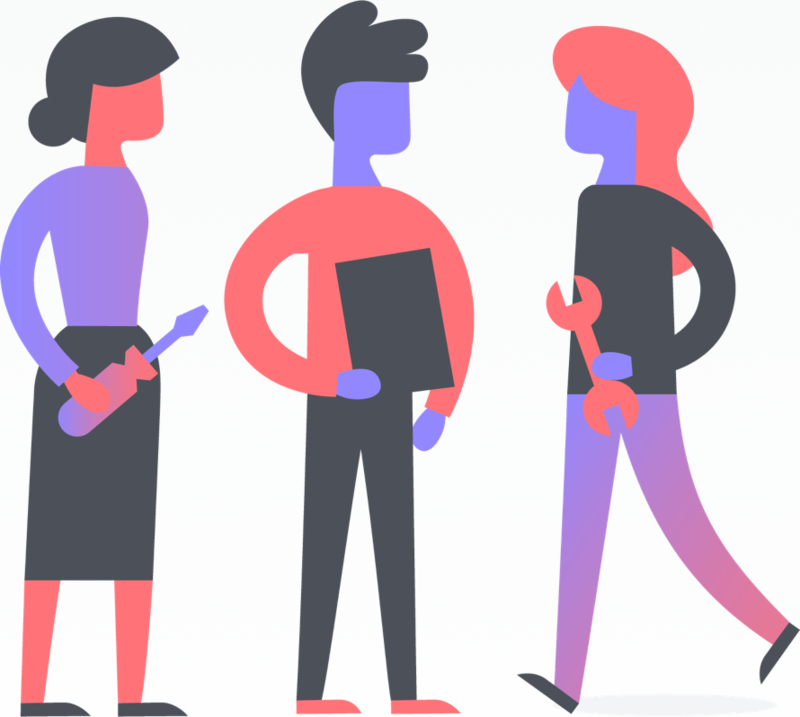 Asana accounts are free and tied to individuals; Asana accounts grant access to shared WorkspacesWorkspaces A Workspace is a collection of people and projects in Asana that does not require a company or custom email domain. Read more and OrganizationsOrganizations Organizations connect everyone in a company using Asana based on a shared email domain. 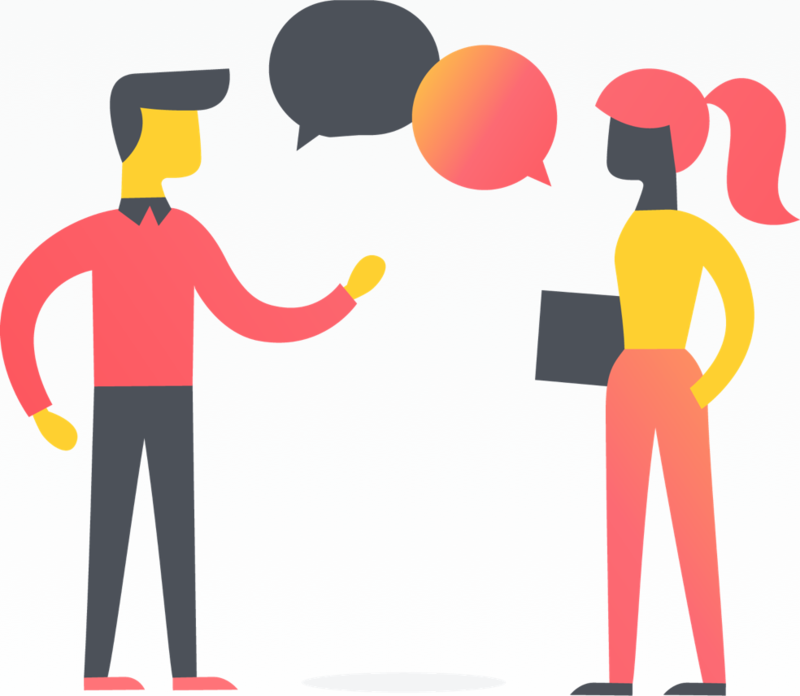 Read more to collaborate with other Asana users. 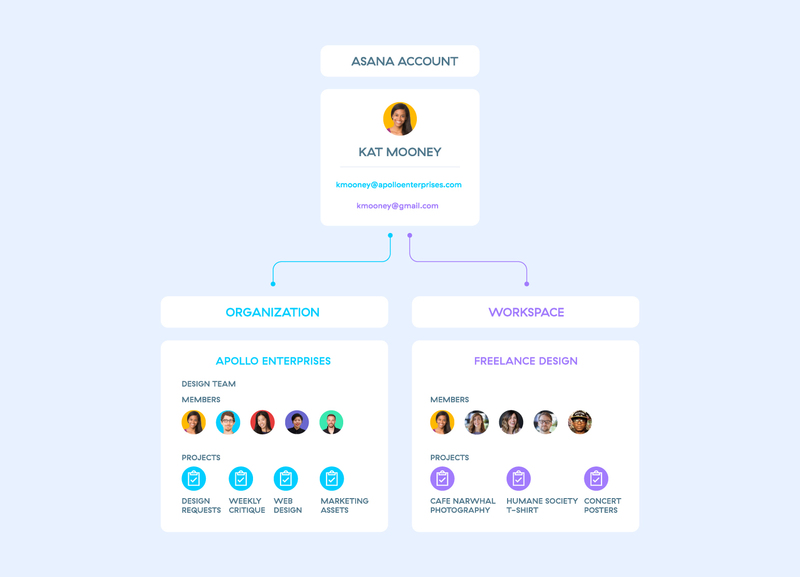 With a single Asana account, you can create or join multiple Workspaces & Organizations to collaborate with various groups of Asana users; these Workspaces and Organizations you belong to are their own separate entities, each with their own unique set of people, projects, and tasks. Having connection issues? You may find this article helpful instead. Since each Workspace and Organization are their own separate entities, your colleagues cannot see the other Workspaces or Organizations you belong to, nor can you see the other Workspaces & Organizations your colleagues may belong to. Learn more about privacy between these spaces here. Learn more about the permission settings of your projects & tasks within each of your Workspaces & Organizations here. 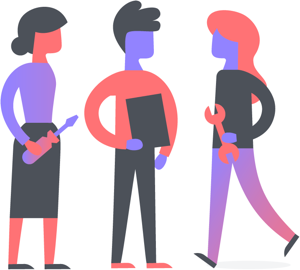 You can sign yourself up for Asana or you can accept an invitation to join. Creating an Asana account is free. We’ll ask for your name and email address. You can add other email addresses to your account later. 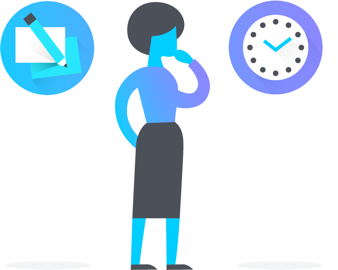 Use your work email if you want to belong to your company’s OrganizationOrganization Organizations connect everyone in a company using Asana based on a shared email domain. Read more . If you are signing up with your work email and there is an existing Organization set up under this corporate domain, you can then request to join the teams within this Organization. You do not need to maintain multiple accounts. You can join, create, or leave any number of Organizations or Workspaces from a single account, as illustrated below. Please note that your password must contain at least 8 characters. Uploading a profile photo is optional during the account creation process. If you choose not to upload one at this point, you can always add one later on from your Profile Settings. If you currently log into your account via Google and want to switch to a password, request a password reset link. If your Organization is on the Enterprise version of Asana and has SAML enabled, a password is not required to log into your account. Your account will be authenticated with just your email address. Alternatively, users in SAML enabled Organizations can also log into their accounts using a custom URL. 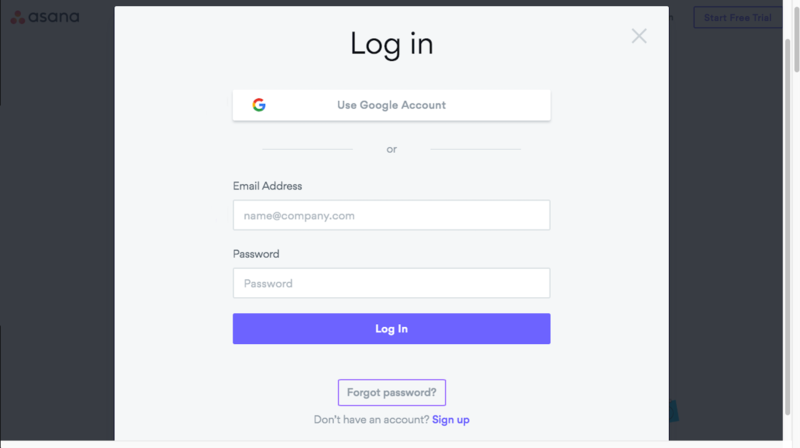 Just add your company’s email domain at the end of the URL, https://app.asana.com/a/ to access your custom login portal. Members of Organizations with SAML requirements must log into their account using their SAML related email address, regardless of how many email addresses you have on your account. 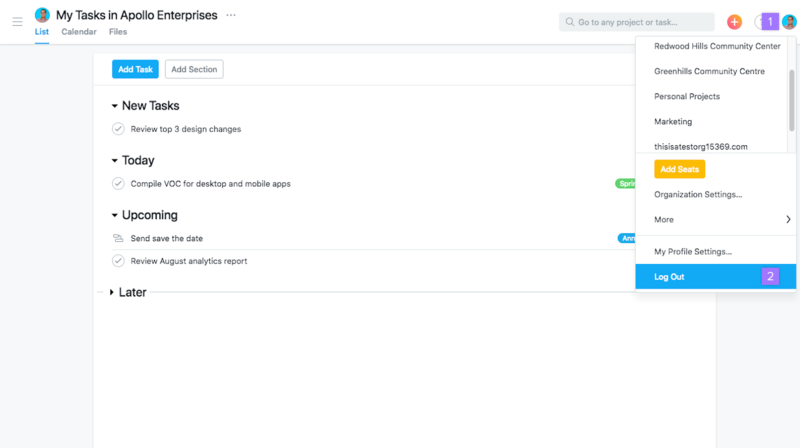 When you log out from Asana, you will be logged out from all active sessions including mobile sessions. 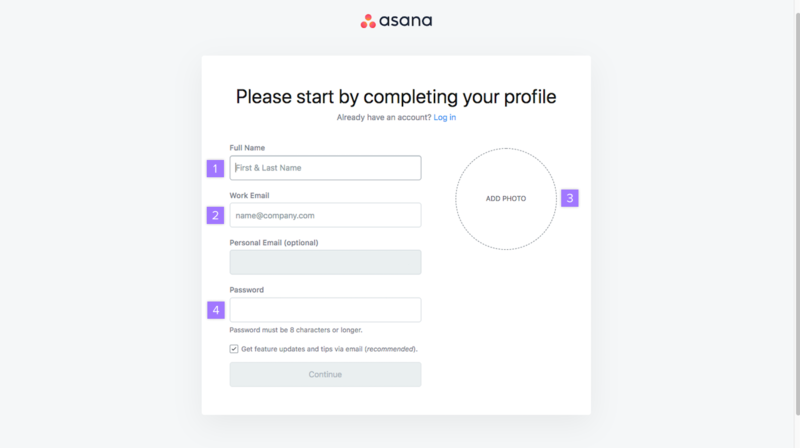 You create your Asana password at sign up. If you signed up with your Google Account, you do not have an Asana password, but you can make one by resetting your password. If you forgot your password or want to change it, you can reset your password from the login page. Resetting your password will log your account out of any other computers and mobile devices you previously logged in from. Click here to reset your password.. Check your email’s Inbox for a password reset message from Asana. In this message, there will be a link you can use to log into your account and set a new password. For Organization MembersOrganization Members People in your Organization that have a shared company email domain. 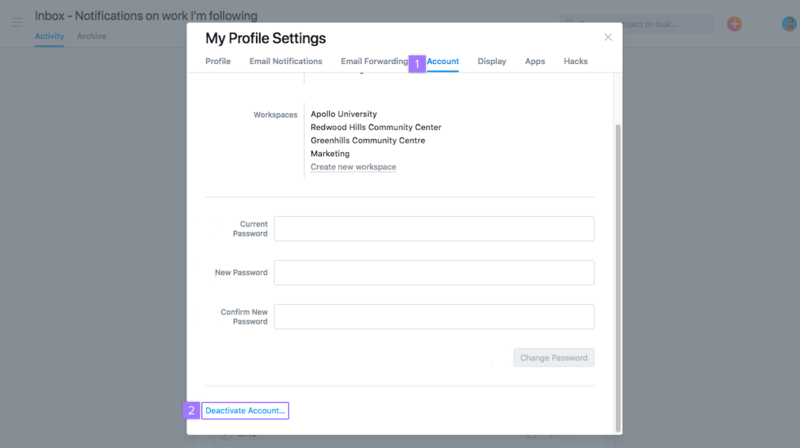 Read more with multiple email addresses on their account, the password reset link will always be sent to the email address associated to your Organization’s domain. 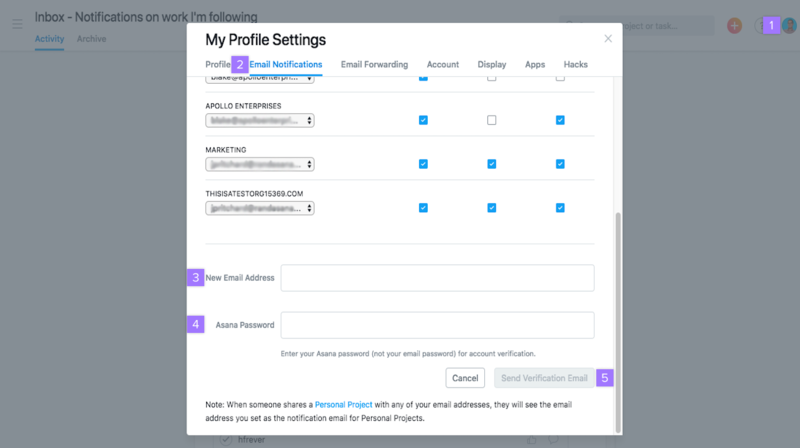 If you have multiple accounts and would like to merge them into one, you can add the email address associated with one account to the other account from your Profile SettingsProfile Settings Profile Settings lets users adjust preferences related to their specific account. Read more . 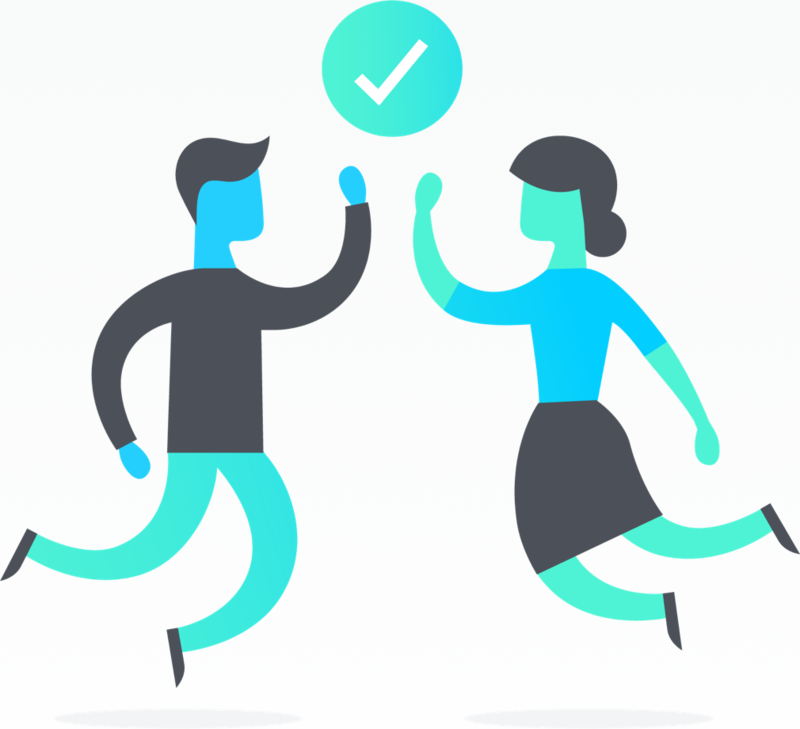 Asana will then ask you to find a link in your secondary email inbox to confirm the merge. Once the merge is complete, you can log into your account using any email address associated to your account. If you belong to more than one Organization that requires login by Google Single Sign-On (SSO) or SAML, you will not be able to merge your accounts. 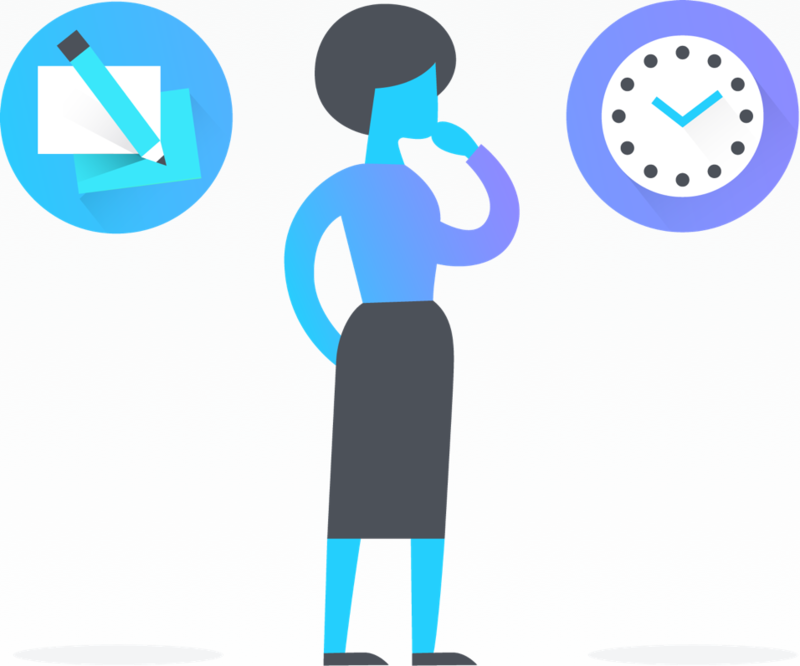 You will need to log into each of your separate Asana accounts, one affiliated with each Organization, and will be required to log in separately for each Organization. Account security is our top priority, and this measure is in the interest of protecting your data by making the login process more secure for those who belong to multiple Premium Organizations.